Perhaps unsurprisingly, the behaviour and buying patterns of consumers has evolved as a result of the recession. Therefore, in order to grab the attention of the modern day consumer, conservatory manufacturers need to work harder than ever to support retailers, ensuring they have all the information that they need to encourage a purchase, explains Mark Hanson, Marketing Manager at Ultraframe. Demand for conservatories is still depressed due to the continued harsh economic conditions. Existing Ultraframe market research tells us that, while around 50% will be purchased by first time buyers, the other 50% are in fact second and third time buyers who typically have more to spend, something that the industry needs to capitalise on. However, compared to previous years, consumers are now seeking out more quotes before committing to a purchase, often requesting at least two or three. Furthermore, the purchasing timeline has increased, with more consumers spending around 12 months or more weighing up the pros and cons before making a final decision. As such, factors such as building solid and trusting relationships and being up to date on all the latest product developments and Building Legislation will go a long way to ensure that retailers are front of mind when a consumer comes to make their final decision. To ensure retailers stay ahead of the game and meet the wants and needs of consumers, conservatory manufacturers must invest both time and money into making sure that they have a comprehensive and up-to-date suite of marketing tools and support in place. The conservatory industry is a highly competitive market and so marketing support is crucial for retailers; the more knowledge retailers have, the more confidence they have, and in turn, the more sales they make. Extensive, regularly updated marketing collateral, such as literature, websites and email, can help ensure retailers become more adept at project selling and confident at cross selling. As the UK’s leading manufacturer of conservatory roof solutions, Ultraframe makes significant investment to ensure that its marketing support is second to none. From industry leading brochures and overprints right through to bespoke promotional items, Ultraframe has an in-house team of design specialists that can help to create the complete tailored marketing solution for each of its customers. 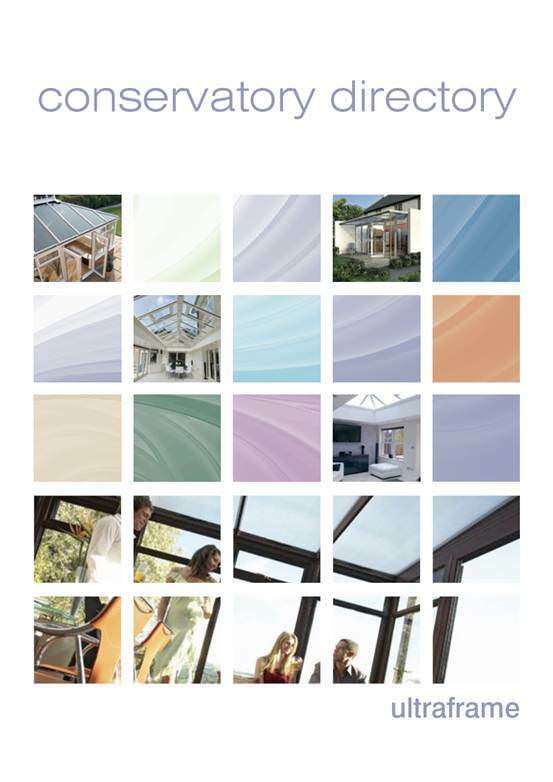 Ultraframe prides itself on providing a vast selection of industry leading literature, as well as retail brochures and installation and technical guides, the company has a selection of specialist glossy brochures specifically designed to provide everything you could ever need to know about selecting a conservatory. The flagship ‘Conservatory Directory’ is available as standard via the Ultraframe marketing support range and acts as a comprehensive and stylish guide to both traditional and contemporary conservatory solutions. It can be overprinted with a choice of four template covers or can be designed with a bespoke cover exclusive to a specific retailer. The directory also offers the end user advice on how to design the conservatory of their dreams. The ‘Conservatory Portfolio’ is an eight page leaflet version of the directory which has been specifically developed for use at shows and exhibitions, or as mailshots. 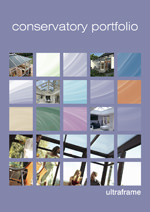 It features stunning photography and line drawings to help clients choose the conservatory that best suits their needs. A blank area on the back of the Portfolio allows retailers to also stamp or sticker the brochure with their company details. Finally, ‘The Essential Guide to Conservatories’, which is produced exclusively for use by Ultra Installers, is a fantastic glossy lifestyle magazine that takes prospective buyers through every stage of the conservatory buying experience and stresses the importance of choosing an Ultra Installer. However, with vast amounts of potential buyers now making the internet their first port of call, the need for an up to date, interactive and engaging online resource is just as important as hard copy literature. As part of a new corporate strategy which will see Ultraframe make the transition from being a specialist conservatory roof manufacturer to a company that offers a vast portfolio of home improvement products, the company recently updated its consumer website to combine the latest user friendly functionality with up to date product and design information. Covering everything from composite doors and windows, through to bi-fold doors, contemporary glazed extensions and orangeries, the all new site features the latest company news, the popular Ultraframe Blog and Ultraframe TV, as well as the industry renowned Ultraframe Conservatory Clinic (for consumers with issues with existing conservatories). It has been updated to ensure that it continues to offer both potential and existing customers with up to date practical details and advice, as well as everything that they could ever need to know about designing and installing home improvement products which transform light and space in their home.